Hundreds of businesses are banding together with cities and state leaders to support the goals of the Paris climate agreement. Apple (AAPL), Amazon (AMZN), Facebook (FB), Google (GOOG), Gap (GPS), Adidas and many others signed on to an open letter Monday pledging to move forward with the United State's earlier commitment to reducing carbon emissions. The move comes less than a week after President Trump announced plans to withdraw from the pact. "In the U.S., it is local and state governments, along with businesses, that are primarily responsible for the dramatic decrease in greenhouse gas emissions in recent years," the coalition wrote on a dedicated website called We Are Still In. "Actions by each group will multiply and accelerate in the years ahead, no matter what policies Washington may adopt." 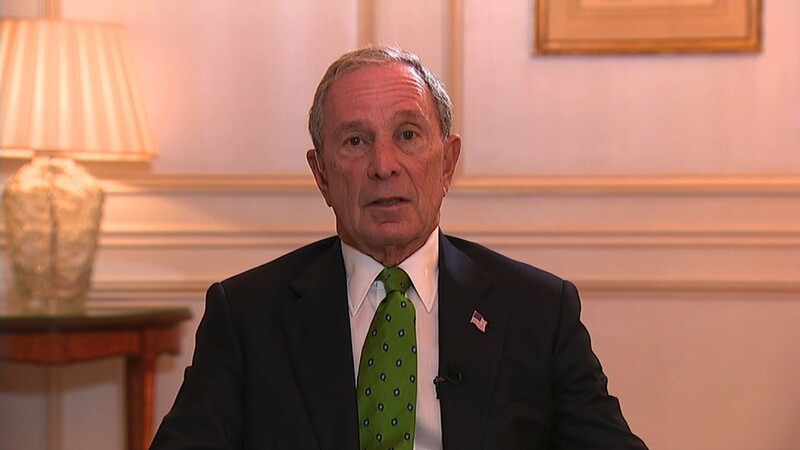 The effort was organized by more than a dozen groups, including the Center for American Progress and Mike Bloomberg's Bloomberg Philanthropies. The companies are joined by the mayors of dozens of cities and counties, as well as eight states. Many of these leaders announced plans to continue the climate fight last week. Trump's decision to pull the U.S. out of the Paris climate accord sparked a wave of criticism from the business community last week. Bob Iger, the CEO of Disney (DIS), and Elon Musk, the CEO of Tesla (TSLA) and SpaceX, stepped down from White House advisory panels that same day. It even inspired Goldman Sachs (FADXX) CEO Lloyd Blankfein to tweet for the first time, calling Trump's decision a "setback" for the country's "leadership position in the world." "We remain steadfastly committed to the sustainability, carbon and energy goals that we have set as a company and to the Paris Agreement's ultimate success," Brad Smith, president and chief legal officer at Microsoft (MSFT), said in a statement Monday. "Our experience shows us that these investments and innovations are good for our planet, our company, our customers and the economy."